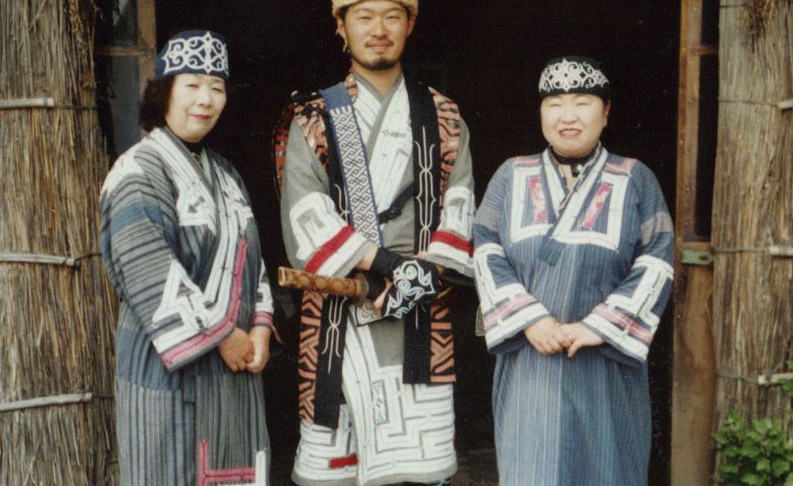 The Ainu are a people traceable to Hokkaido, Japan, known for their animistic view of the world. They have their origins in a merging of cultures, some of whom lived as long as 13 000 years ago (1). The Ainu believe that all of reality is pervaded or inhabited by spirits or souls. Although the spiritual and physical world are separate, inanimate objects, such as trees, tools, and rocks, posses spirits and are believed to be immortal. The human body is seen as a container for a spirit, and that after death the spirit exits the body through the mouth and the nostrils and arrives in the next world. In the next word the spirit is reborn as a kamuy, and when the kamuy dies (which also takes place in the next world) it is reborn back into the natural, physical world. The Ainu believe that there is a relationship between human beings and the kamuy for they can be recipients of human prayer (using prayer sticks) and even be angered. If humans anger the kamuy then they need to conduct a ceremony to show regret for their actions. There are also different types of kamuy who hold certain positions on a hierarchy and are given different names. The creator god, Kotan-kor-kamuy, who is the creator god and the god of the village, can show himself in the form of a long-eared owl. Repun Kamuy is the god of the sea, sometimes depicted as an orca, and Shiramba Kamuy is the god of the woods. Between the years 1899 and 1997, the Ainu people were forced to assimilate into Japanese culture and many of their religious and cultural practices (such as their language and hunting) were banned. In 2008, the Ainu were officially recognized as an indigenous people of Japan with their own unique and distinct culture which they could practice. They are, however, still viewed as a primitive people and therefore recipients of negative stereotypes. 1. Ambalu, S. et al. The Religions Book. p. 24-25.